A very pretty pair of Tutti Hope earrings featuring a trio petal design, plated in gold brass on a stud earring, the outer petals are textured and the middle one has a smooth finish. 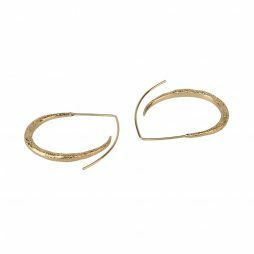 This must-have pair of small gold brass plated earrings in a cut out disc design. 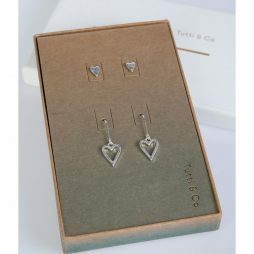 Designed as part of Tutti’s seaside Coastal range, these earrings can be worn for all occasions. 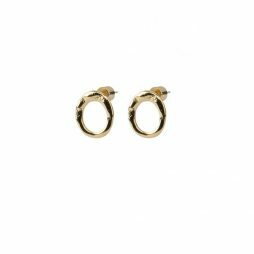 A must-have pair of small silver brass plated earrings in a cut out disc design. 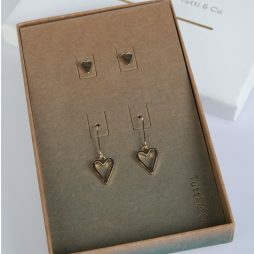 Designed as part of Tutti’s seaside Coastal range, these earrings can be worn for any occasion. 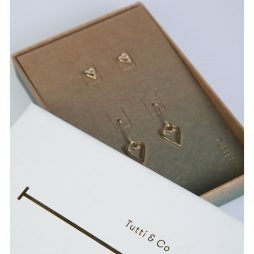 This essential pair of Hand finished small stud earrings from Tutti & Co’s new collection feature a linear cut out rectangle in gold brass plated. 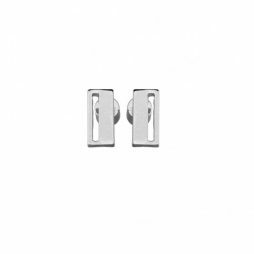 An essential pair of Hand finished small stud earrings from Tutti & Co’s new collection. 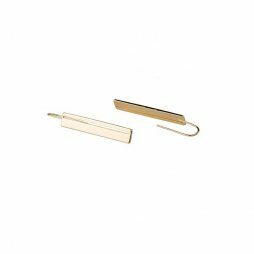 These Urban earrings feature a linear cut out rectangle in silver brass plated. 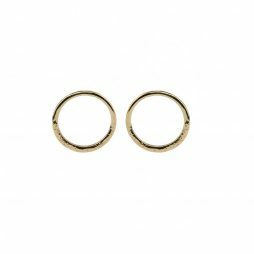 Belonging to the Coastal collection from Tutti & Co, this pair of wonderful gold brass plated Sea earrings have a cut out disc design and perfect to wear day or night. 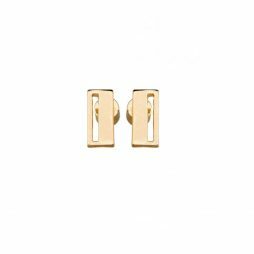 Stylish Tutti & Co’s Raft earrings, handmade from gold brass plated featuring a small golden brass plated stud with double dainty chain drop. 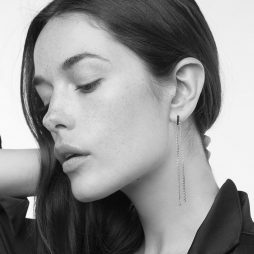 The perfect hoop style earrings to wear for any occasion. 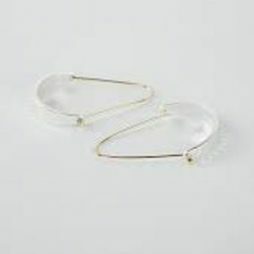 From the Coastal collection, these earrings are gold brass plated, and feature a textured tear drop shape. 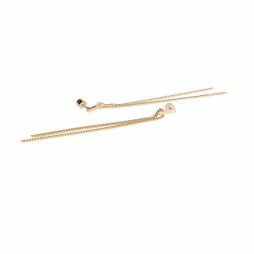 Stylish Tutti & Co’s Raft earrings, handmade from gold brass plated featuring a small silver brass plated stud with double dainty chain drop. 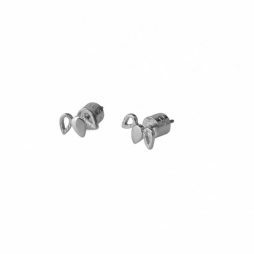 The weight of the Raft earrings is 4gms, with a drop length of 8.5cm. 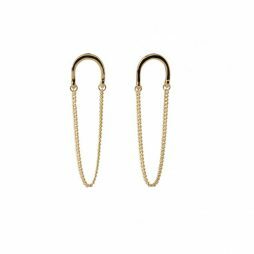 Part of Tutti & Co’s Coastal range, this edgy pair of Drift earrings are handmade from gold brass plated. 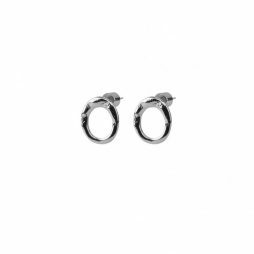 Featuring 2 different stud earrings to complement each other, one is a small silver circle and the other is a silver drop. 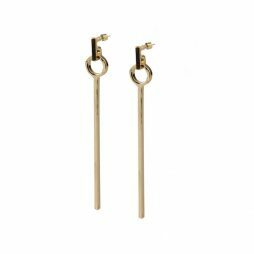 From Tutti & Co’s Coastal range, this edgy pair of Drift earrings are crafted from gold brass plated. 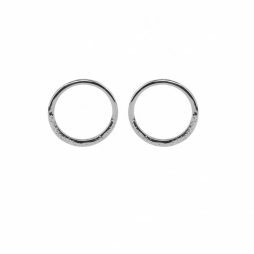 Featuring 2 different studs that complement each other, one is a small gold circle and the other is a gold drop. 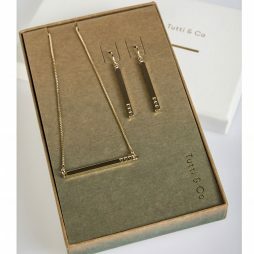 An elegant pair of Linear earrings from Tutti and Co’s new collection. Featuring a cut out bar design on a gold hook. 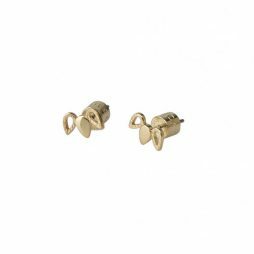 Crafted from gold brass plated, these earrings are part of the Industrial collection. 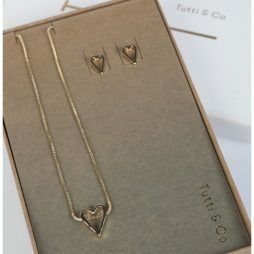 These stunning Arc earrings from Tutti and Co’s Harbour range are gold brass plated, featuring a thin drop chain attached to the horseshoe style stud. 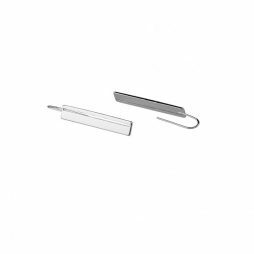 An elegant pair of Linear earrings from Tutti and Co feature a cut out bar design on a silver hook. 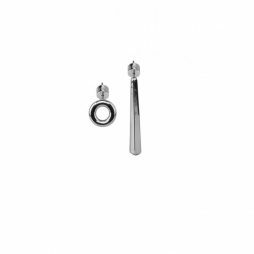 Crafted in silver brass plated, these earrings are part of the Industrial collection. 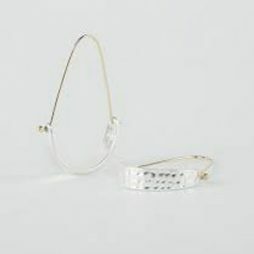 These elegant Nuture earrings from Tutti and Co feature a hoop style design and are hand crafted in silver brass plated, part of the Harbour collection they make a very special gift. 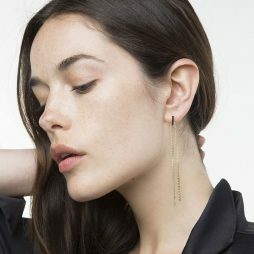 These beautiful Arc earrings from Tutti and Co’s Harbour range are silver brass plated, featuring a thin drop chain hanging from the horseshoe style stud. Crafted from gold brass plate, this pair of Pier earrings are designed as part of the Harbour collection from Tutti’s brand new collection. The perfect hoop style earrings to wear for any occasion. 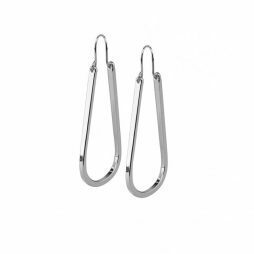 From the Coastal collection, these earrings are silver brass plated, and feature a textured tear drop shape. 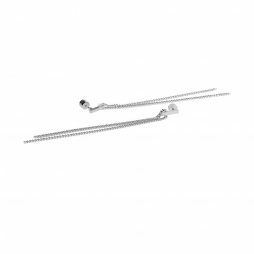 Tutti and Co Jewellery Sea Earrings Silver. 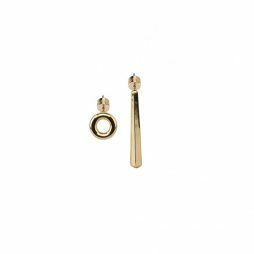 This pair of silver brass earrings are part of the Coastal collection and have been crafted here in the UK to feature a stylish cut out disc .